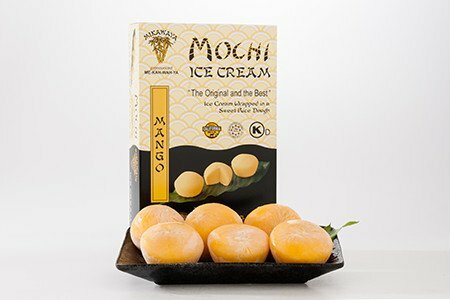 Thinking About Adding Mochi Ice Cream to Your Line? Mochi ice cream has exploded in popularity over the past few years, starting as an innovative new way to think about eating ice cream, and finishing as an international sensation that continues to grow in popularity all over the world. Stores all across the United States have become retailers for Mochi Ice Cream. Are you thinking of joining the list of business that have increased their sales by partnering with My/Mo Mochi? Learn more about how adding Mochi to your line of freezer products can drive customer traffic, increase sales, and turn your business into a profit powerhouse. Sure, ice cream is a great treat that everyone loves, but it’s largely inconvenient to take it with you on-the-go. Mochi Ice Cream is wrapped in sweet rice dough, making it completely self contained and easy to take and eat when you’re out and about. Customers realize that this is a convenient way to bring ice cream with them when they go for a picnic, so they’ll be sure to pick it up on the shelves. Mochi Ice Cream has a shelf life of about two months, meaning that there’s a low risk compared with other products that have shorter shelf lives. This means two things, you can buy more Mochi without worrying too much about whether or not you’ll be able to go through all of the boxes, and that you can buy more mochi varieties, since you don’t have to worry about certain flavors expiring. All in all, Mochi’s long lasting nature is a net positive for any business that wants to make a real impact in their freezer aisle profits. As many business owners know, you can make money becoming a retailer on a product that is currently trending. Right now, Mochi is one of the most innovative new ways of having the dessert experience anywhere, and people have really responded. By becoming a retailer now, you have the opportunity to be a lifetime partner with a company that is just now coming into its own as a worldwide player. Did you know that Mochi Ice Cream started as a family-run business in 1910? Originally, they just made pastries. Over the years, they perfected the art of the best recipe for the delectable mochi dough, which has since been passed down from generation to generation. That recipe has remained unchanged and secret, making it a product that simply cannot be copied. If you want Mochi, you have to go with the best. Do you want to increase the revenue for the freezer section of your business? Are you trying to drive sales and increase your profits in a profound and unprecedented way? Mochi ice cream is one of the most valuable new brands out there today. By partnering with them, you’re getting in early with a business that is only growing, and is already a proven international form ice cream all across the world.